Firstly, great to finally have the BETA!!! Just installed and testing out a few things. Placed a .PSD file perfectly. Strangely, placed a .AFDESIGN file and part of the artwork does not display. It is a logo / branding so I'd rather not share the actual artwork here but I am happy to email directly to Affinity for further investigation. I've investigated further and it is something with how Publisher interprets the Artboard I think. I found the dropdown menu to select 'document' or 'artboard' and choosing document the full artwork appeared. There is only one artboard in the placed file so I'm not sure what's going on here. 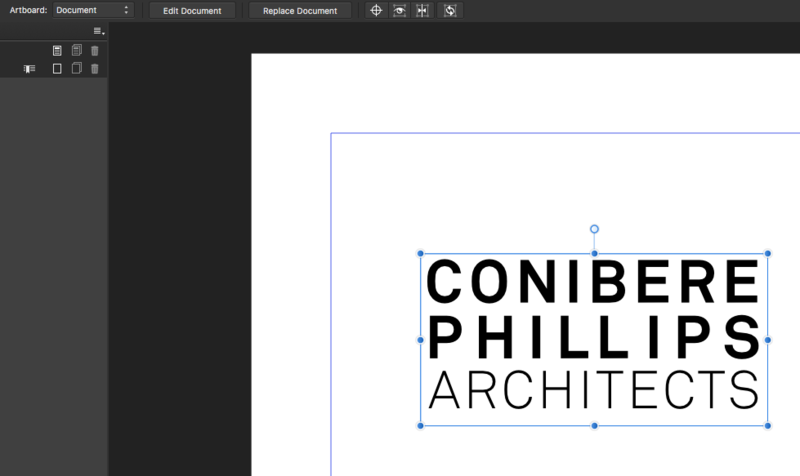 Does your afdesign file have elements that are not actually contained within the artboard objects? If they are not within that specific artboard on the layers panel then they wont show when the artboard is selected in Publisher. 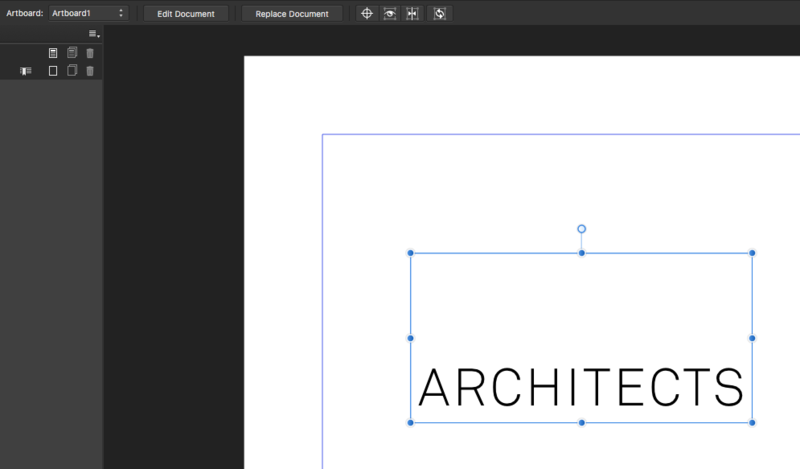 If the elements are part of that artboard in the afdesign file but still not being shown when placed would you be able to attach the afdesign file for us to look into? 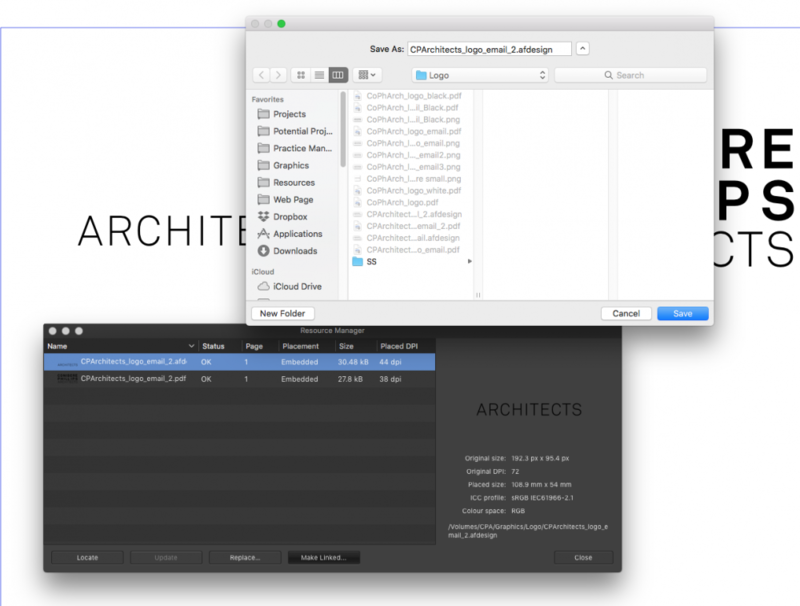 would you be able to attach the afdesign file for us to look into? I'd rather not put the file on the public forum because it is our company branding. Can I email it direct? Also, all the artwork is within the artboard in the .afdesign file. The bounding box for the placed file is correct for the artboard but part of the content doesn't show. See screen grabs below. Sure, OK, thanks. 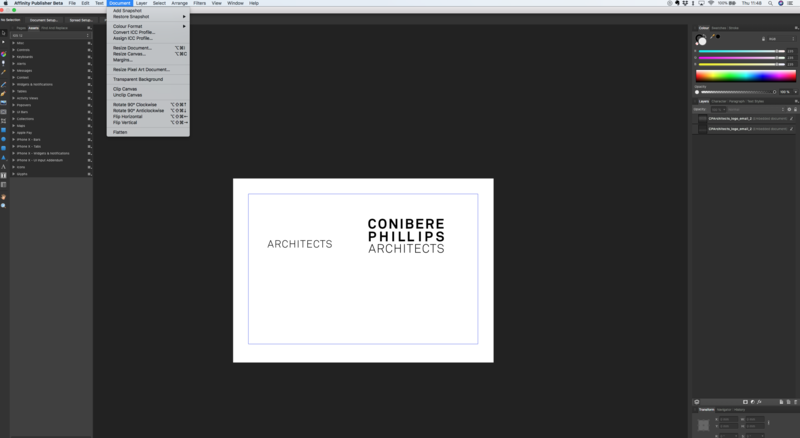 Betraying my lack of knowledge of Designer a bit! I thought you meant it visibly was within the limits of the artboard rather than nested within it in the layer panel. 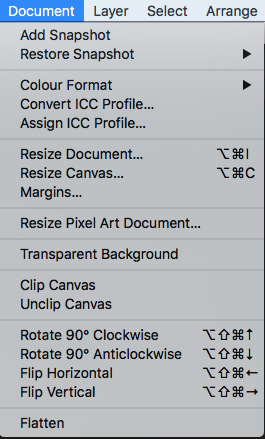 This seems a bit counterintuitive given when exporting a PDF it includes all of the visible artwork. Anyway, having fixed this in the afdesign file, how do I get Publisher to refresh / update the linked file? I've managed to place the file again and it now shows up as expected but can't find anything for refreshing the original link. That seems to be missing from the menu. 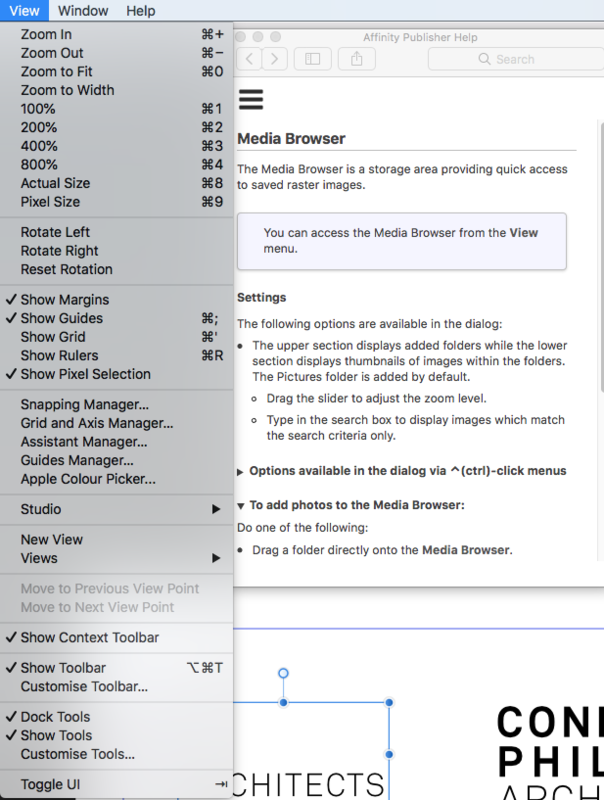 As does the 'media browser' which the help docs say should be in the 'view' menu. I've found that the resource manager is listed in the shortcuts within preferences. I have added a shortcut to see if I could load it that way but no joy with that either. @Chris_K beat me to it! I have quit and reloaded Publisher and now it is there. Still, a strange bug especially as the shortcuts showed it was there as an option but that nothing would happen. Still having a few problems. Having now managed to open the Resource Manager, I can see there are two entries, one for each time I've placed the artwork. All good to that point. All seems good except then it is still displaying incorrectly. So I click the Update button hoping that it will refresh the linked file. Nothing happens. I then choose Replace instead to see if this resolves it. Also doesn't work. 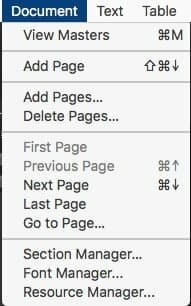 Very strange indeed because your screenshot is missing the Table menu & the Document menu is to the right of the Text menu instead of to its left. More digging on the problem of embedded vs linked as above. Having converted an embedded file into a linked file, when double clicking on it, it opens it up as before. It still says <embedded> in the new edit tab. Presumably it isn't actually making it into a Linked file. Yeah, I thought I was going mad! @Chris_K just wondering if you've seen the later replies on this regarding the Resource Manager not working as expected? I have been looking at your replies but as you can expect It's been a bit busy so I've been trying to find the moments to give it the right attention. I'm only really going to address bugs at this point so I shall leave the requests at the moment. Publisher is 1.7 so any files will not open in 1.6 of any app as it contains elements these apps don't have and understand. I see what you mean about the file saying <embedded> when you are editing it after it has been linked. this is because i needs some sort of file name and by default it has always been embedded. Just an oversight and should probably be given a better name like the actual file name when editing to reflect this.